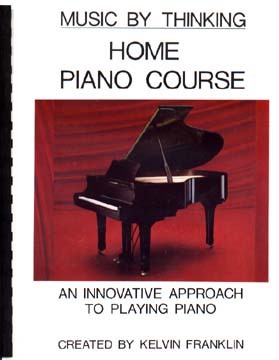 This course is a complete home study course for teaching yourself to play a keyboard instrument. This course is for everyone from children to adults. My son began playing for the youth choir at the age of 11 years old. My oldest daughter plays regularly on our home piano. While stationed in Japan, I used these same principles to teach both an accomplished concert pianist and jazz musician in the art of playing gospel music. Absolutely no knowledge of music or instruments required. Click button to read the books introduction and some excerpts from the book to see how easy it is. Sample the course material by reading the Course's Introduction. (10) and provides a series of lessons that connects the book together and takes you from start to finish. This course incorporates everything from teaching you how to select an instrument to practice on to the actual process of creating music itself. 1. THEORY -- teaches you about the keyboard, common music terms, proper body positions, and special terms used throughout the book. 2. READING -- teaches you basic knowledge about reading music and chord progress. 3. PRINCIPLES FOR PLAYING -- teaches you to listen to music, steps for finding notes, an d steps to finding the key to a song. If also gives the principles that will allow you to play music by thinking. 4. LESSONS -- ties the previous three sections together and gives an orderly progression for learning to play. 5. SAMPLE MUSIC, WORK SHEET, INFORMATION -- provides you with sample music, worksheets and other required information.